OLD PARKED CARS. 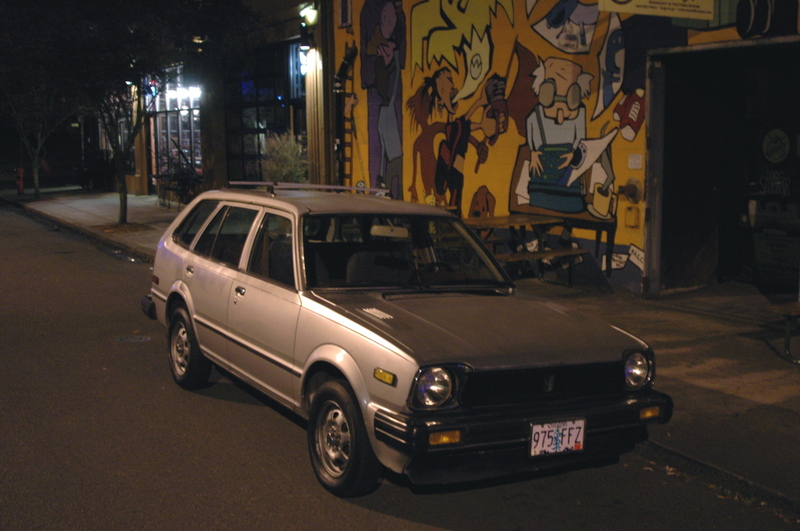 : 1981 Honda Civic Wagon. It seems like 95% of these that I ever saw were this color! Love it! I had a '77 and an '83. It's a 1981 model, by the way (one-year-only chrome bumpers). 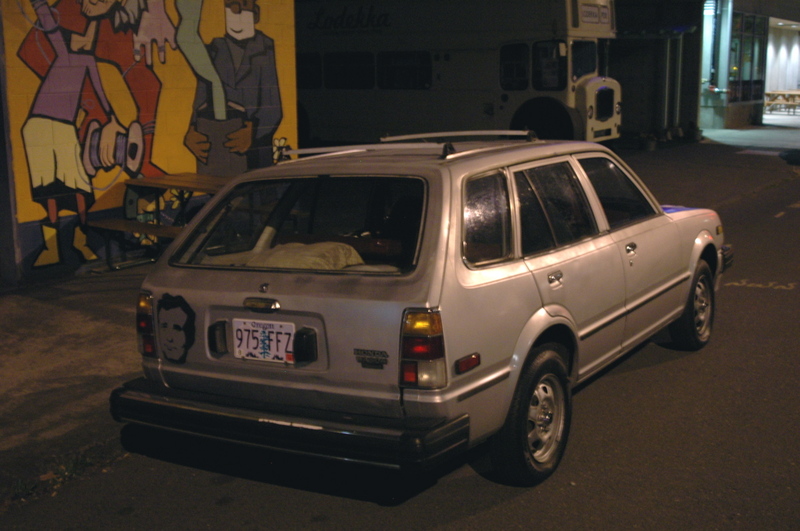 A 1979 model was the final year of the first generation. thanks, spiff. funny that that qualifies as a "chrome bumper." Awesome, nice and stock. 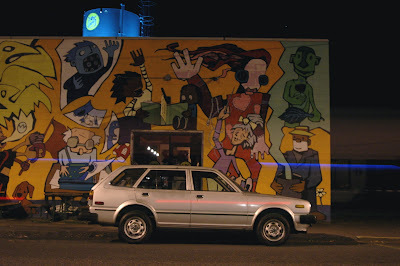 That side profile shot is great, what a crazy mural. Incredible condition. Never see them like that anymore. Nice. totally boss miniwagon. knew a guy that had a civic of this vintage, she was rusty but she ran like a top for the 10 plus years he had it. classic civics, love em!